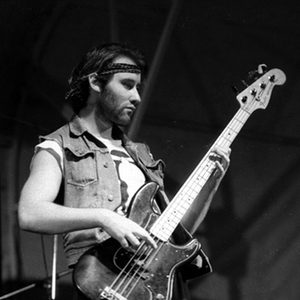 Jah Wobble is a pseudonym of John Wardle, who was Public Image Ltd.'s bass player, from 1978-80. He left PiL on shaky terms, after using the band's backing tapes (from "Metal Box" / "Second Edition" recording), for his first 'solo' release, "Betrayal" (1980). Afterwards, he made a number of independent releases, first with the The Human Condition (featuring ex-PiL drummer Jim Walker). Soon after, he collaborated with Jaki Liebezeit and Holger Czukay (of Can), plus David Howell Evans (aka The Edge, of U2), resulting in "Snake Charmer" (Oct 1983, Island Records). Afterwards, he made a number of independent releases, first with the The Human Condition (featuring ex-PiL drummer Jim Walker). Soon after, he collaborated with Jaki Liebezeit and Holger Czukay (of Can), plus David Howell Evans (aka The Edge, of U2), resulting in "Snake Charmer" (Oct 1983, Island Records). At the same time he released his own solo work. Further releases were supported by Island Records. Most recently Wobble realized his own label, 30 Hertz, and has toured the US. At the same time he mustered a short-lived band called The Damage Manual with ex-Killing Joke members and Martin Atkins who was also once a member of PiL. He has also collaborated with Brian Eno on the album "Spinner" (1995, All Saints). In September 2009, John Lydon reformed PiL for a series of concerts in late 2009. Despite Lydon's invitation to join, Jah Wobble did not feature in the line-up, due disagreements over money and venues.